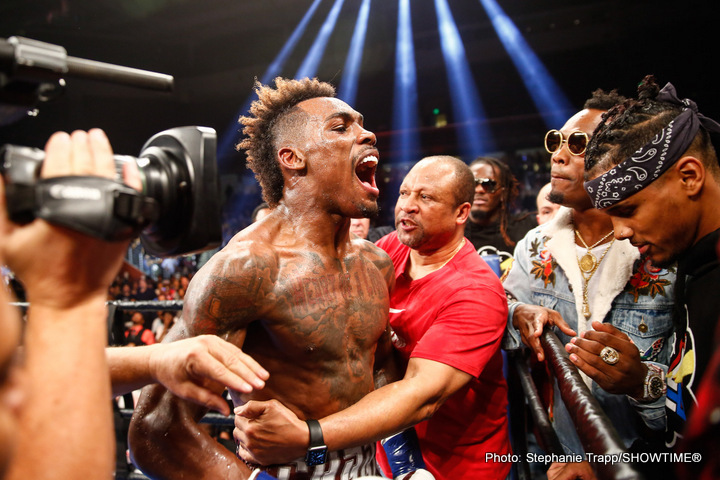 Unbeaten former world champion Jermall Charlo returns to face Argentina’s Jorge Sebastian Heiland in a middleweight world title eliminator featured on SHOWTIME CHAMPIONSHIP BOXING, Saturday, July 29 live on SHOWTIME at 9 p.m. ET/6 p.m. PT. Charlo vs. Heiland is presented by Premier Boxing Champions live from Barclays Center, the home of BROOKLYN BOXING™. Televised coverage is headlined by a 12-round super lightweight showdown between four-division world champion Adrien Broner and unbeaten three-division champion Mikey Garcia. Additional undercard action will see former title challenger Gerald Washington (18-1-1, 12 KOs) take on unbeaten Jarrell “Big Baby” Miller (18-0-1, 16 KOs) in a 10-round heavyweight matchup. Highlights from Washington vs. Miller will be featured on the SHOWTIME telecast. Charlo (25-0, 19 KOs) and Heiland (29-4-2, 16 KOs) will meet in a 12-round eliminator to become the mandatory challenger for the WBC 160-pound championship. Charlo will make his middleweight debut after successfully defending his 154-pound belt three times, including a highlight reel knockout of then unbeaten Julian Williams last December on SHOWTIME. Tickets to the event, which is promoted by Mayweather Promotions and DiBella Entertainment, are priced at $950, $750, $350, $300, $250, $150, $75, and $50 (not including applicable fees), are on sale now, and can be purchased at ticketmaster.com, barclayscenter.com or by calling 800-745-3000. Tickets can also be purchased at the American Express Box Office at Barclays Center. Group discounts are available by calling 844-BKLYN-GP. The Charlo vs. Heiland bout is promoted in association with TGB Promotions. The twin brother of unbeaten 154-pound champion Jermell, the Charlos became the first twins to hold world titles in the same weight class simultaneously when Jermell won his title in May 2016 while Jermall defended his belt the same night with a victory over Austin Trout. The 27-year-old will move up in weight as he seeks to become a two-division world champion after delivering a Knockout of the Year candidate against Williams in December. Fighting out of Houston and training with Ronnie Shields, Charlo won his title in 2015 by stopping Cornelius Bundrage before making his three defenses. Fighting out of Buenos Aires, Argentina, Heiland enters this bout on an eight-fight winning streak including seven by knockout. The 30-year-old turned pro in 2007 with 16 straight victories before challenging for an interim title in 2010. Heiland’s current winning streak included a knockout victory in Ireland over Irish star Matthew Macklin in 2014. Heiland will be fighting in the U.S. for the second time as a professional after making his U.S. debut last September with a stoppage of Angel Hernandez. Washington, a U.S. Navy veteran who also played tight end and defensive end at the University of Southern California, returns to the ring after challenging heavyweight champion Deontay Wilder in February in a bout that was nearly even on the scorecards before Wilder earned the stoppage victory. Fighting out of Vallejo, California, Washington had previously picked up victories over veterans such as Ray Austin, Eddie Chambers Nagy Aguilera and Jason Gavern on the way to his world title opportunity. Unbeaten since turning pro in 2009, Brooklyn’s Miller will make his Barclays Center debut on July 29 when he enters the ring. The 28-year-old picked up three stoppage victories in 2016, including his most recent triumph over Fred Kassi on ShoBox: The New Generation that saw him retire the veteran in round three. Miller has won his last seven bouts by knockout and he will look to continue that streak when he steps in against his toughest pro opponent to date.